Inder Loves Folk Art: Mustard Greens. We are starting to harvest vegetables from our new raised beds! Here are the first three dishes we've made with ingredients grown in our own back yard. 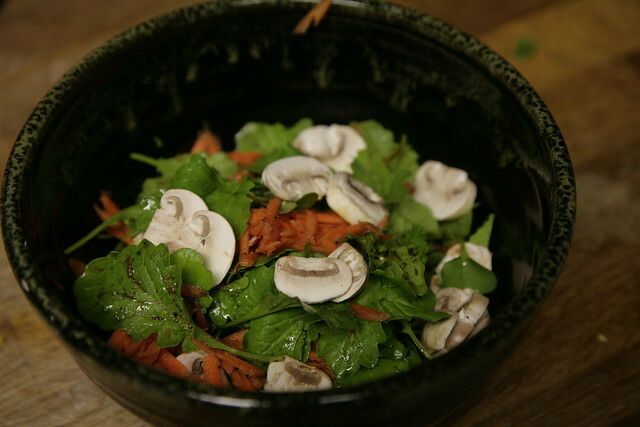 1) Baby mustard greens salad with mushrooms and carrots. 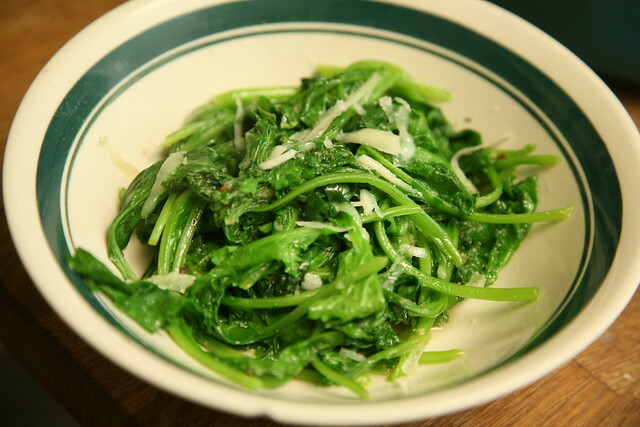 2) Wilted mustard greens with red pepper flakes and pecorino romano. 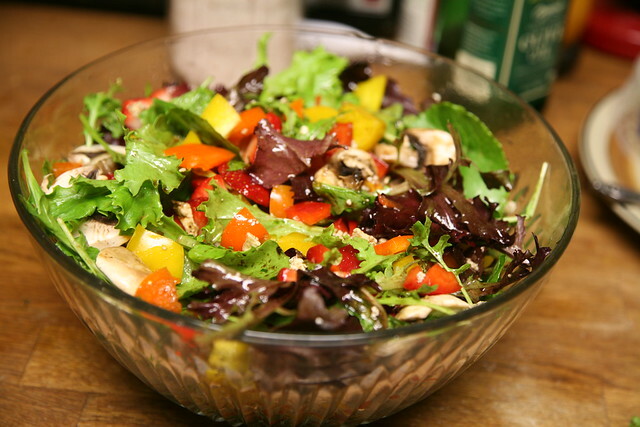 3) Salad with lettuce, mustard greens, peppers, and the miscellaneous contents of our fridge. So at least one thing is growing really well in our new garden! Mustard greens! I think it's safe to say that mustard greens love Oakland, at least during this very late, wet, spring. And so far I've harvested all of this food just thinning them in order to prevent them from taking over a whole bed. The good news is that this pregnant lady is currently getting plenty of dark green leafy veggies. I've been vegetable gardening in some form or another for much of my life, and if I have learned one thing, it's that the weirdest stuff always seems to thrive. This may be especially true in the Bay Area, because our seasons are so screwy (foggy summers, wet-ish winters, spectacular springs and autumns). So anyway, mustard greens! Who knew? If you know of any amazing recipes that call for mustard greens, please let me know! What a luxury, to eat salad you've grown yourself. I am drooling over here! Everything looks so delicious!